A month or so after the preview of Ad libs and fibs, Patrick La Roque unveils the show’s creative process in fascinating photos. Taking a sometimes sober, sometimes lyrical but always relevant viewpoint, he admits us to the intimacy of the artists and shows us a creative and all-encompassing process. 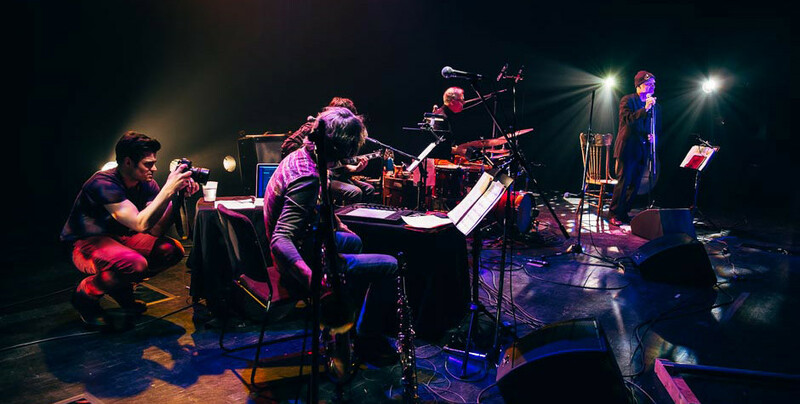 Note that the musicians and the narrator go head-to-head again at the show’s première in the Festival de musique actuelle de Victoriaville on 18th May at 8 pm in the Pavillon Arthabaska.